Harnesses give smaller dogs a sense of security as they walk, skitter, and prance along city sidewalks and through leafy parks. 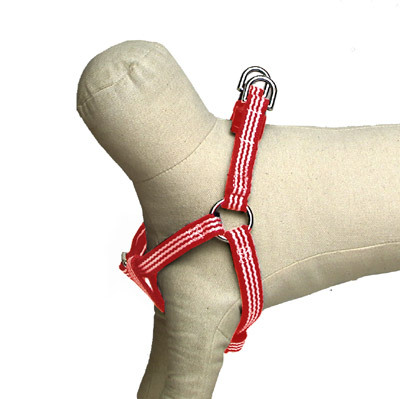 Sturdy cotton webbing harness in red / white or navy / white. Snaps closed with a lightweight durable plastic fastener. leather GEORGE logo patch.